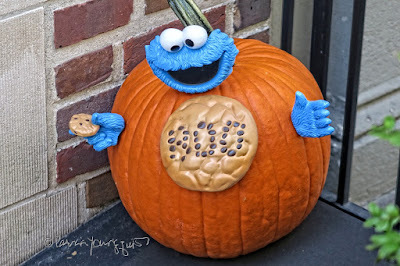 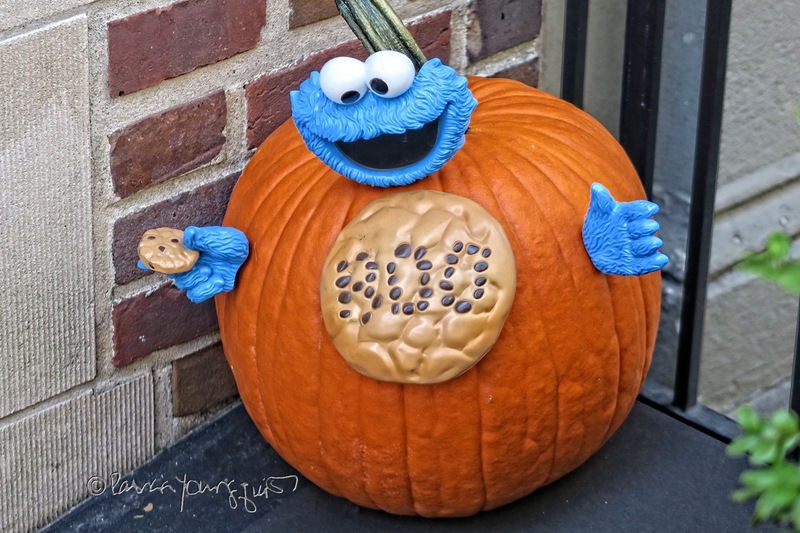 Today, October the 26th is National Pumpkin Day! 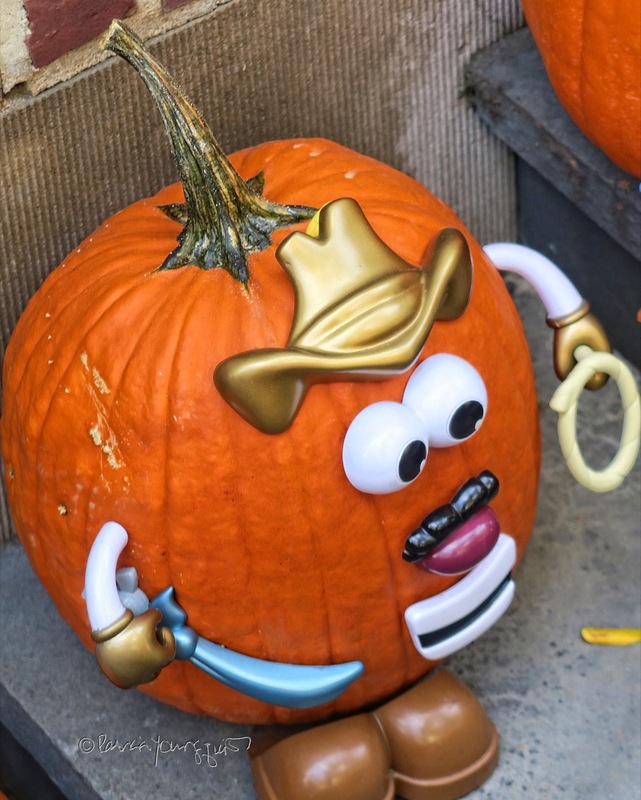 I had thought it was pretty unique to find a pink pumpkin at a Pumpkin Patch that was near to The Raptor Trust, as I had never seen this variety of pumpkin before. 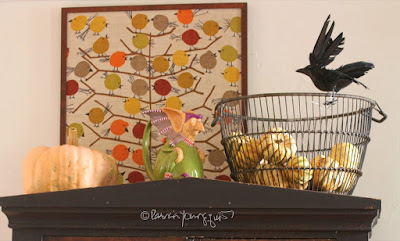 I was thrilled to place it in my home alongside a basket of squash; and as you can see from the image posted above, a crow seemed impressed with my unique pumpkin discovery. 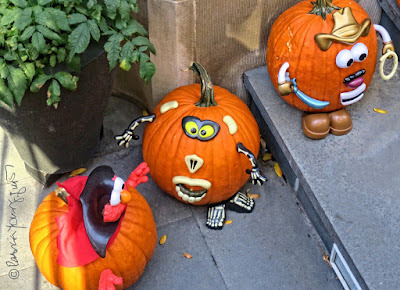 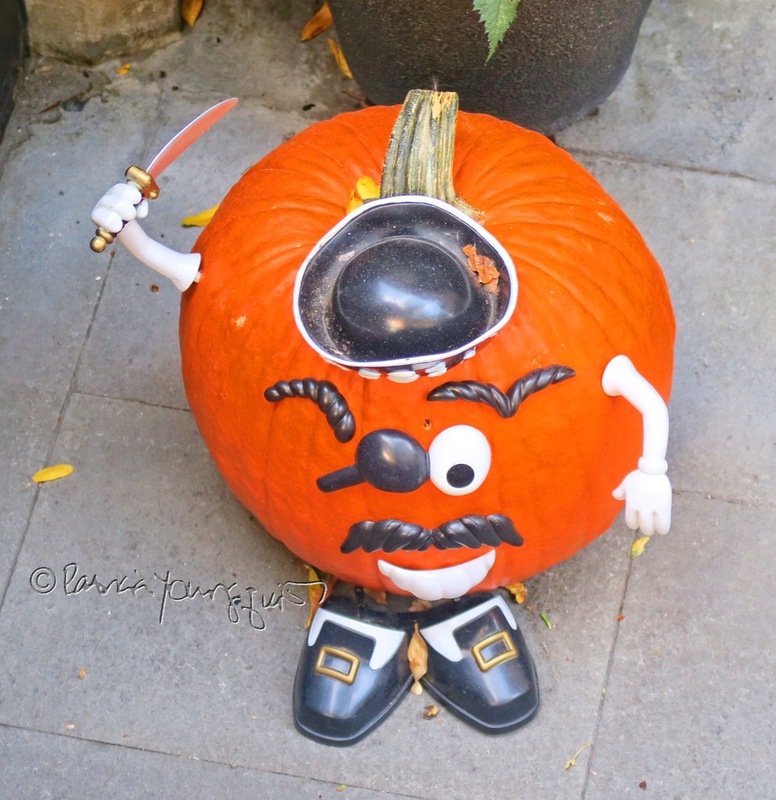 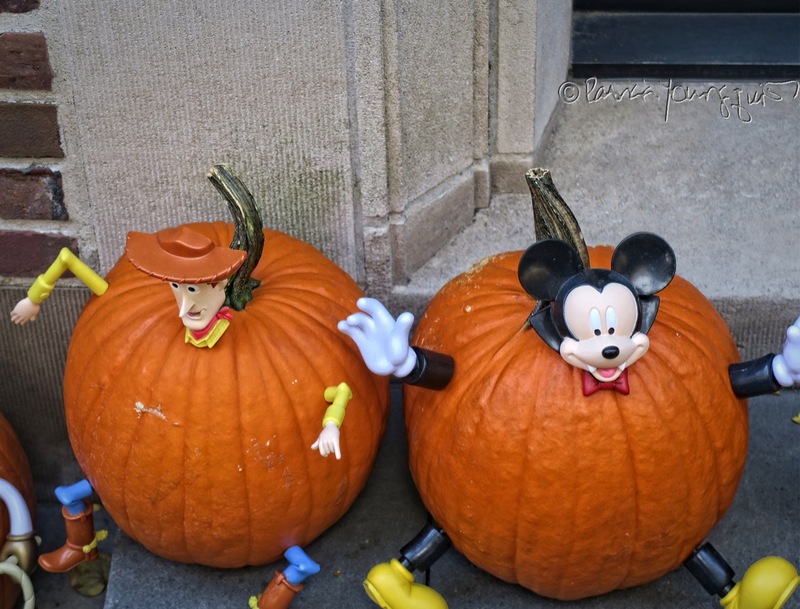 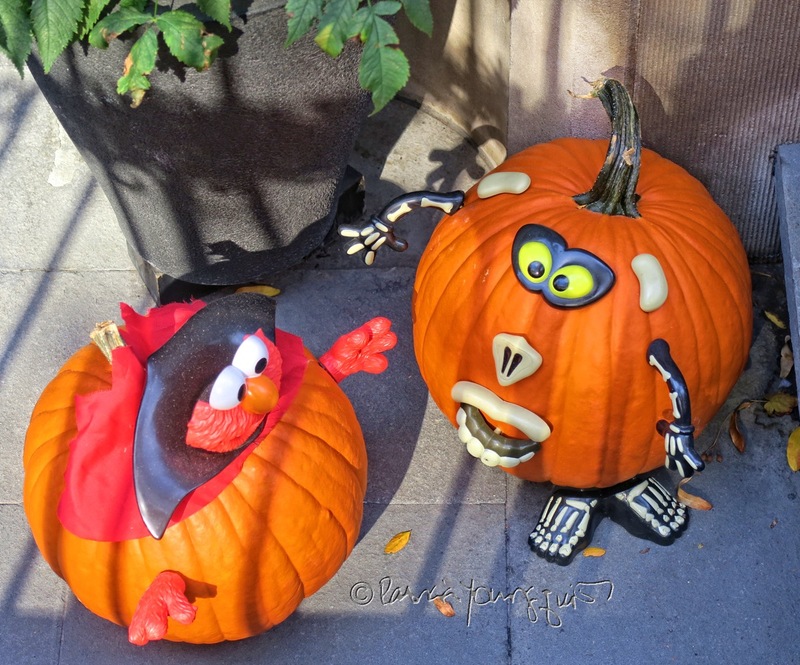 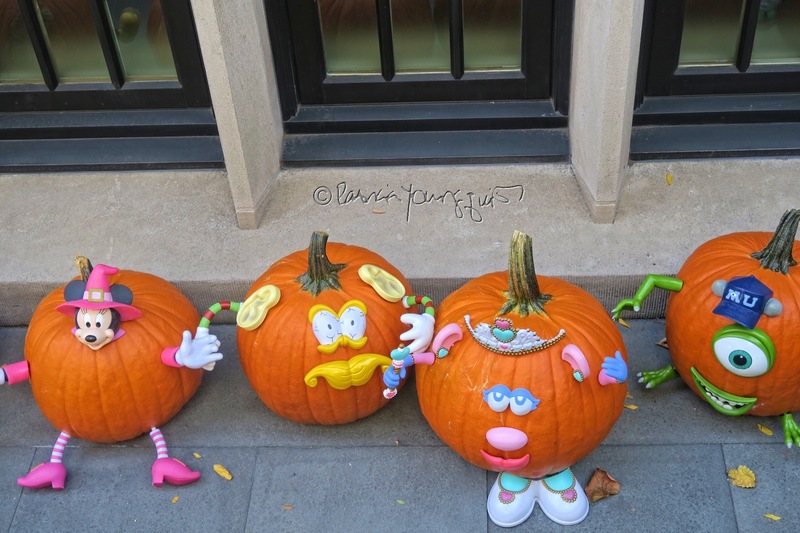 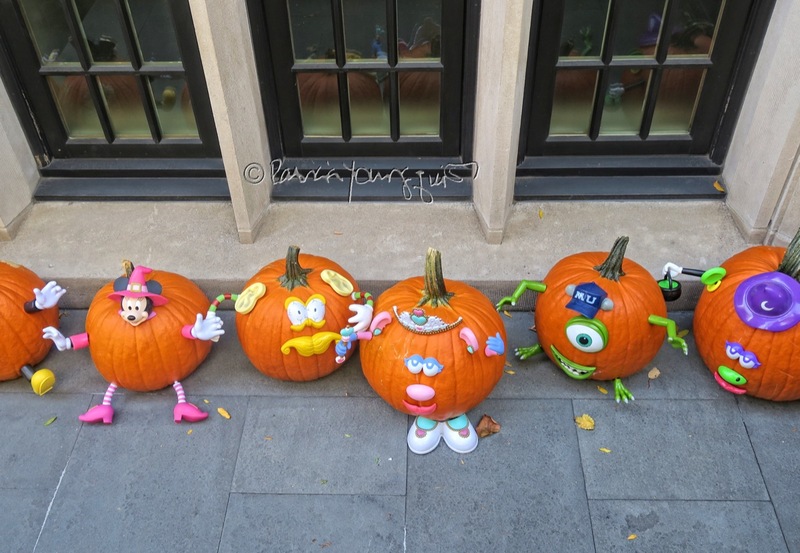 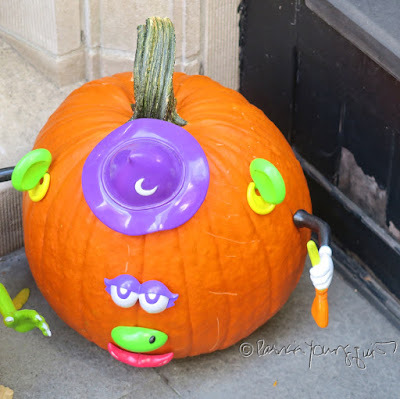 However, this afternoon when I was walking to a follow-up appointment with my retinal specialist, I made another unique pumpkin discovery when I passed an array of pumpkins alongside a posh NYC brownstone. These pumpkins were most unique in that they were dressed in Halloween costumes!